While most of Europe is going through a recession, Turkey is seemingly thriving. Coffee Shops, cafes, restaurants in busy parts of major cities are full with people. 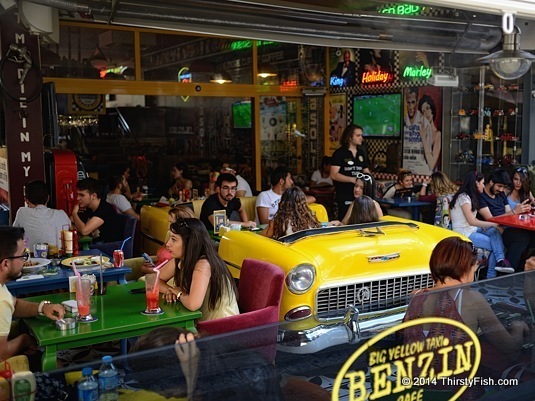 The pictured cafe is one of thousands in central Ankara. The elephant in the room is whether Turkey's long time net import economy is sustainable, or is Turkey going to end up like Greece, Spain and Portugal.